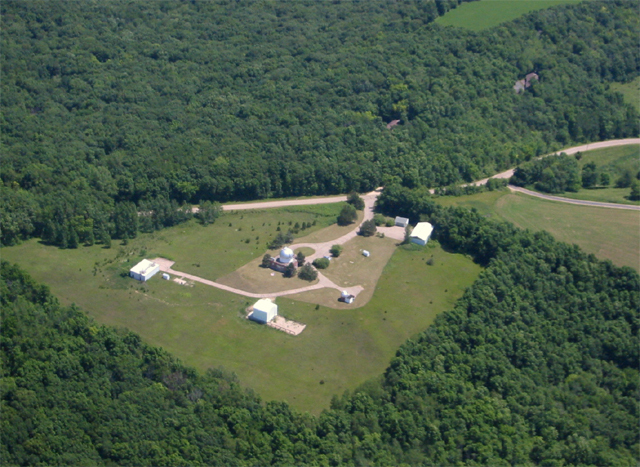 One of the telescopes at the Pine Bluff Observatory (PBO) of the University of Wisconsin is a 0.9 m f/13.5 Cassegrain with a dedicated spectropolarimeter (HPOL) attached. 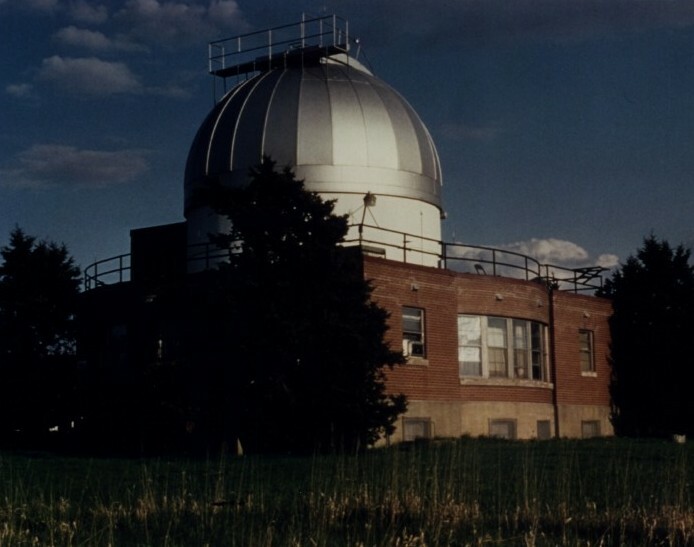 From February 1989 to December 1994 it obtained simultaneous spectra and polarization measurements, with a resolution of 25Å, from 3200Å -7600Å for 311 targets, including 61 Be stars. A set of halfwave plates at 8 different angles provide spectropolarimetric modulation. The detector was a Reticon dual-photocathode array with 1024 diodes in each array. 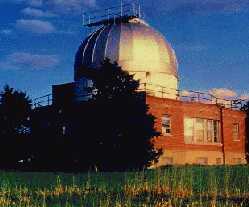 (In 1995 the detector was replaced by a 400 x 1200 CCD with spectral coverage 3200Å -10500Å.) See Wolff, Nordsieck and Nook, 1996, A.J., 111, 856 [postscript] for a detailed description of the instrument. See also the HPOL Web site. The data have been processed by summing equivalent readouts on a particular object, subtraction of background scans, division by the flat field calibration spectra, flux calibration using spectra of known bright stars, polarimetric calibration using data obtained of unpolarized and polarized standards. For the halfwave mode data, the filters are differenced and a Fourier analysis, pixel-by-pixel as a function of filter angle, is done to give Stokes parameters %Q and %U spectra along with a %Error spectrum, all consisting of 1024 32-bit data points for each array from about 3200Å -7700Å with a 25Å resolution. 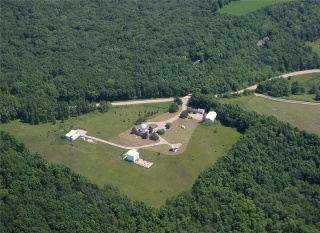 Data analysis and software development takes place at the University of Wisconsin Space Astronomy Laboratory (SAL). Much of the reduction software is based on a FORTRAN language generalized Reticon detector/spectropolarimeter package (REDUCE) developed at SAL to support ground-based (HPOL/PBO), the space shuttle-flown Wisconsin Ultraviolet Photo Polarimeter Experiment (WUPPE) and Rocket UV spectropolarimetric data. This software package has been operating on UNIX based microVAXes for several years and is currently running on SiliconGraphics Indy machines running Irix. There are 1557 FITS files of 311 objects from 796 nights of observations in this data set. Of these, there are 297 observations of 61 Be stars. The Stokes %Q and %U, and %Error spectra and flux calibrated (Flambda- ergs/cm2/sec/Å) data along with pertinent housekeeping data have been written to a FITS file for each observation. The ObsDate is the Date (YYMMDD) the observation was taken (GMT). HW is the Halfwave polarimeter mode. The FITSIO package, version 4.14, written by William Pence at the Goddard Spaceflight Center, was used to generate the FITS files. They were written on a Silicon Graphics Indy running IRIX 6.3. The FITS files are 34560 bytes in length. The set of basic header information includes the primary array keywords and keywords describing the data arrays, target information, telescope engineering data relative to the observation, and calibration information. The exact header of a sample file is given below. The primary array data consists of the Flux array (1024 data points-32 bits per data point) in units of ergs/cm2/sec/Å (Flambda). The binary tables extension includes headers and vectors for wavelength (Angstroms) and the Stokes parameters %Q & %U, and the %Error (also 1024 32-bit data points per array). For the fluxes, bad data have been zeroed out. For the polarization data, the bad data are when the %Error data have been zeroed out. The %Q and %U data remain (allowing inspection of those data) but should not be used. COMMENT   is  slit=4, decker=6 (12" x 12"). COMMENT   The decker controls the length of the slit being used. COMMENT   3: 1.5", 4: 3.0", 5: 6.0", 6: 12.0", 7: 25.0"
COMMENT   of 0.05 magnitudes for the 12"/12" slit/decker combination. COMMENT   Fluxes are not absolute due to non-photometric skies. COMMENT   Nordsieck & Nook 1996 AJ 111, 856). COMMENT   and later and +/-0.08% (rms) pre-September 28, 1989. COMMENT   The polarization efficiency is Pol(%)/100. COMMENT   HPOL reticon instrumental polarization has been removed. COMMENT   **The ERROR array is also being used as a QUALITY array. COMMENT   **to allow inspection of the bad data. with the ObjName and ObsDate as defined above. These files are the output of the program polfitsread.f, which was written to verify the contents of the HPOL PBO Reticon Halfwave FITS files. It also uses the GSFC FITSIO v4.14 software package. A complete list of HPOL Publications is given here.